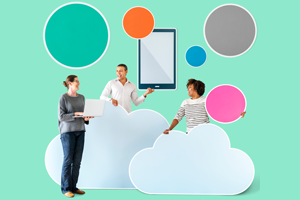 In this short skills building course, we will explore some of the reasons why organisations should consider using cloud-based systems in financial management. This skills builder takes approximately 4 minutes to complete. ‘Reasons to use Cloud-Based Systems in Financial Management‘ is designed for people who work in the finance or accounting functions in commercial or non-profit settings. ‘Reasons to use Cloud-Based Systems in Financial Management‘ is a companion resource for the ‘Business Model Planning‘ skills builder available on this platform.